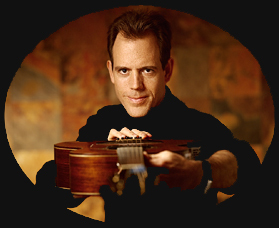 David Wilcox has been around for a long time and even though he hasn't had a major chart hit he is well know among guitarist as a gifted player who like to play in odd altered tunings. David is a great songwriter also and some of my favorites are Last Chance Waltz, Eye of the Hurricane, Leave It Like It Is and Rusty Old American Dream. One song which resonates with me personally is Show The Way. After losing my son Aaron in 2005 there was one song that played repeatedly on my car stereo, Jackson Browne's Too Many Angels. I was saddened, hurt, pissed and didn't particularly want to hear any feel good songs and Too Many Angels became my soundtrack for depression. After about 3 months I somehow came across David's song Show The Way and it quickly replaced Too Many Angels and became my new soundtrack for my recovery. It's a beautiful song with the guitar tuned C-G-C-G-C-E. So simple yet complex to get all the nuances that David does so well. David remains one of my favorite singer-songwriters/guitarists and I remain thankful for his music and this song to this day.